For this make up I used Kryolan brand white and yellow, along with Wolfe brand black. 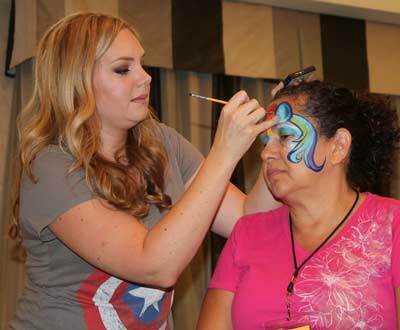 You can use any face paint you like, as long as it’s face paint – that is makeup, not paint made for paper or canvas. Non-toxic does not mean it’s safe for use on the body. My lovely friend Willa is my model. Spritz your white makeup cake with clean water from a small spray bottle. Wipe a dense makeup sponge back and forth across it a few times until your sponge is saturated with color. Stipple white above the eyes where you might put eye shadow with quick, firm patting motions. Rubbing the makeup on might leave streaks. Reload your sponge and apply white under the nose and below the mouth for the muzzle. It helps to squeeze the sponge into a circle. Next, load a new sponge with yellow or gold and apply over the rest of the face, taking care to press the color into the corners of the nose. If you do want to even up the sides, or you goofed a bit, grab a baby wipe (unscented are best) and wipe off any excess. Grab a small round paintbrush. I like to use a Lowell Cornell number 3 or 4, and load it up with black face paint. Wolfe brand is great because it’s super strong, but any black will do. Paint furry hair around the perimeter of the design. Add a few ear hairs. Paint lines around the white muzzle. Add three rows of wiggly lines or dots on the muzzle where the whiskers would be. Paint a delicate line down the middle of the upper lip, starting from under the nose. Paint the end of the nose. Start your leopard spots. These should be smaller near the nose, and bigger, “C” shapes as the move away from the center of the face. Finish with a quick flick of the brush at the outer edges of the eyes to simulate cat eyes for girls and boys. Admire. Go play! Remove the make up with soap, water and a washcloth. 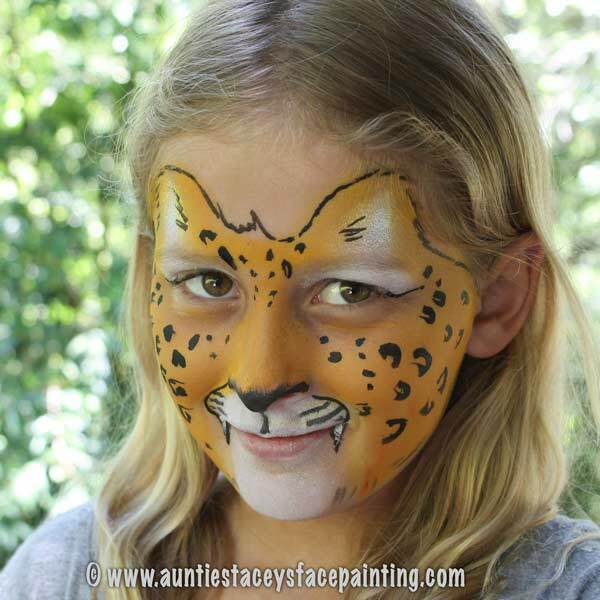 Get Instant download of the new How to Paint a Leopard Face PDF file in my Etsy store. 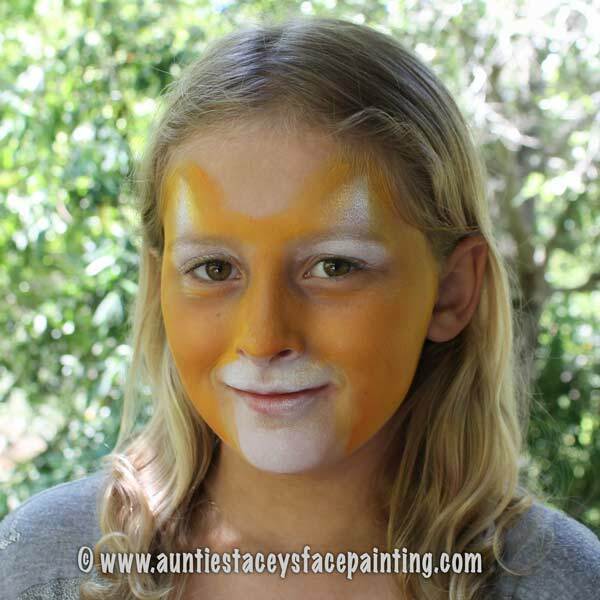 The electronic file includes how to paint a leopard face, along with cheetah, tiger and kitty cat variations. It has more photos, more detailed instructions, and a list of recommended supplies. Cost is $3.25. © 2016 Auntie Stacey Dennick, all rights reserved. Please do not copy without written permission. Baskin-Robbins of Windsor is celebrating it’s grand re-opening with a gigantic party this Sunday, August 2nd. Be there at 12 noon for free face painting by Auntie Stacey, DJ music, balloon twisting, cheerleaders and special deals. Two single scoops for the price of one. Yum! The address is 9075 Windsor Road, Windsor, CA 95492, right downtown. 12-4PM. The cutest little fair is fast approaching. Mark your calendars for August 8 & 9. Save $ by purchasing tickets in advance at all Copperfield’s Books and Oliver’s Market locations, or at the Sonoma County Farm Trails office. Children 5 and under enter for free. 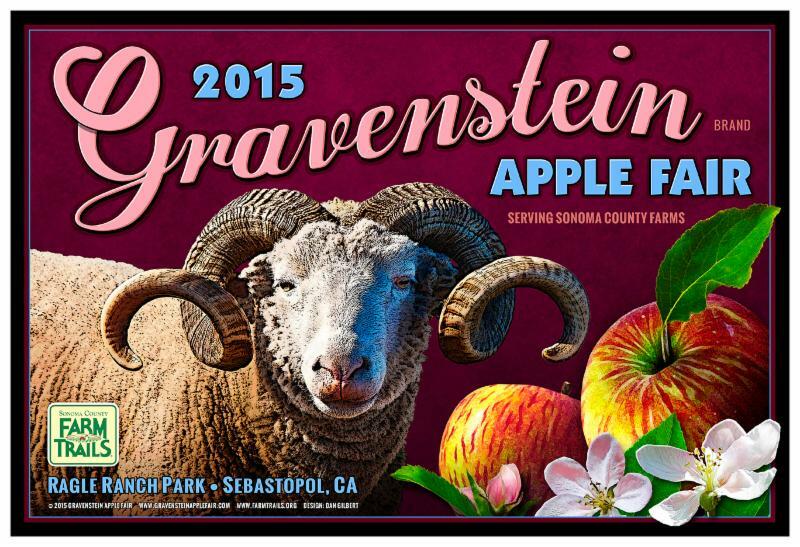 Then join me for face painting, live music on 2 stages, children’s corner, do-it-yourself tent, life on the farm arena, arts & crafts vendors, excellent local food, wine, cider & beer, contests & activities, and of course heirloom Gravenstein apples. Hurray! What a fantastic living canvas, soft sensitive skin rippling with little stretching, kicking cuties inside. I’m loving gestational painting. If you know anyone who’s six months pregnant or more, who lives near Santa Rosa, CA, I want to paint them for free during February! 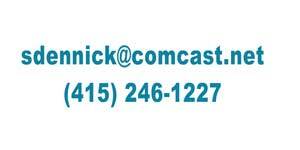 Gimme a call or email. I’m assembling a collection of designs with photographs. Belly painting is a wonderful addition to a baby shower or family photo session. Create memories of this precious time with relaxing pampering for the mother to be. Click on thumbnails to see a slideshow. People often ask me how I learned to face paint. As with any skill, you need a combination of instruction, practice and good tools to become proficient. 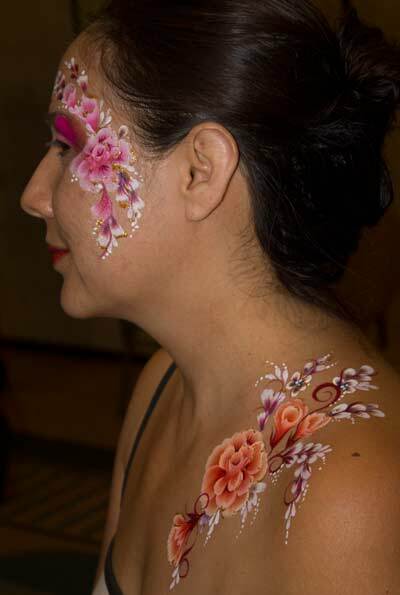 For expert instruction, I recently attended the first annual San Francisco Bay Area Face and Body Art convention, known as BayFABA, this past September. What a treat! 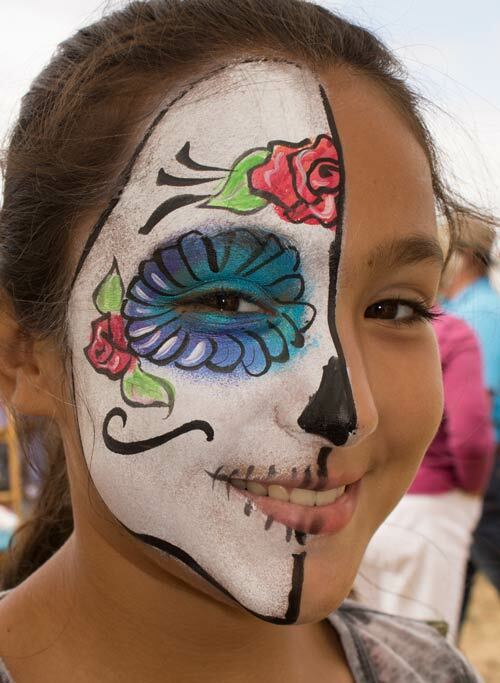 It was so fun to be surrounded by other face painters, our kits spread out before us, happily painting roses and teardrops on our arms, legs, and anything else we could reach. 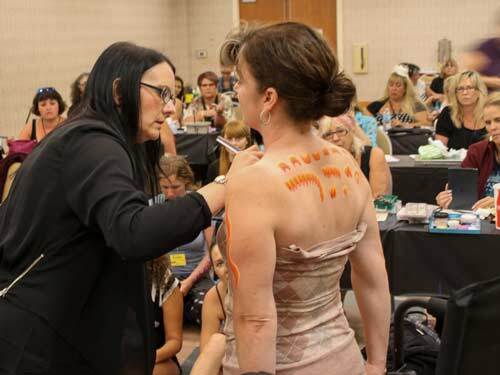 With so many top face and body artists present, it was difficult to decide which sessions to attend. I chose to start off with Lisa Joy Young, whose Youtube channel is a must for all aspiring face painters. She’s just as organized and sweet as she is in her videos. Brierley Thorpe. Wow! Her designs take face and body painting to the realm of fine art. I’ve got to get back to practicing my flower designs. Special occasion clothes can be the perfect starting point for a costumed character. The flower girl dress from a wedding makes a fantastic start for a fairy princess. Tuxedos for vampires, graduation grown (belted, with a shredded hemline) for witches. Worn clothing can find new life, eh, undead life, as a zombie’s outfit. Masks are hot, uncomfortable and hard to breathe through. They restrict vision, which could lead to falls and bruises. Make-up looks more realistic and feels better. Sketch out a few ideas beforehand, remembering to keep it simple. A face is a lot harder to paint than a flat piece of paper. Try to isolate your character’s one essential detail, such as a cat’s whiskers or Superman’s graphic S.
A Google search will yield almost too much info. 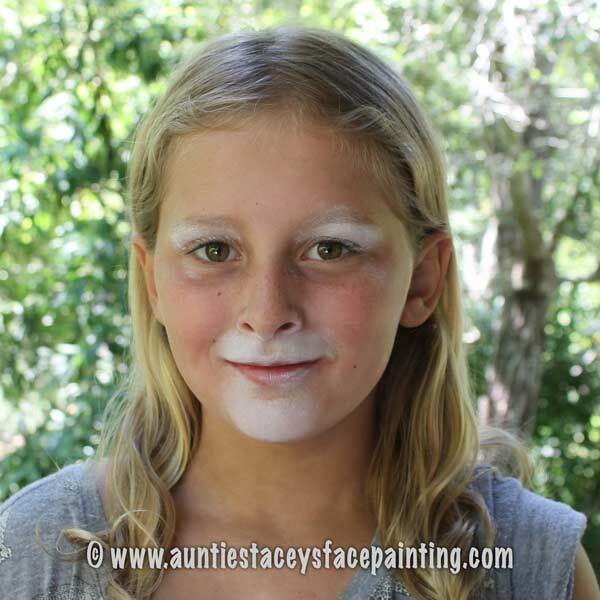 5) Don’t use craft paint! Your mom was right when she told you not to draw on yourself with Sharpie pens. Art supplies and craft glitter may be non-toxic, but they are not hypo-allergic or in any way safe for use on the skin! If craft glitter gets in your child’s eye you are not going to have a good evening. Only use quality products that are approved for use on the face and body. Here’s a link to a supplier. This Zombie’s shading was done with eye shadow. Eyebrow pencils work well for adding kitty whiskers, pirate’s wrinkles or a vampire’s hairline. 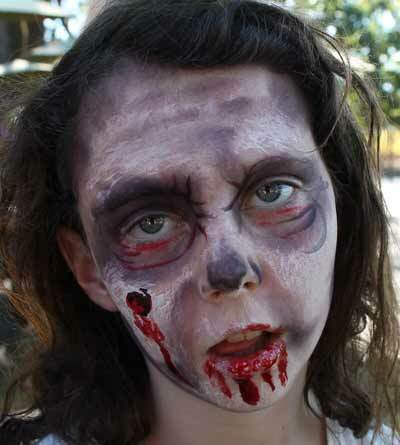 Place dark eye shadow around the eye socket to make your zombie’s hollow eyes. A blend of purple, dark grey and dark brown is ideal. Use blue eye shadow for a Frozen inspired design. There’s nothing like quality water based face paint for bold colors and good contrast. Halloween stores usually stock small quantities of good brands such as Wolfe Brothers, Snazaroo and Kryolan. Or purchase online. One #5 round with a perfect point is worth 10 cheap brushes designed for three year olds to destroy. Lowell Cornell makes great watercolor brushes. Look for them at art stores. To use them: Mist the make up cake with water. Load the brush with paint by rolling it back and forth in the cake. Practice making thick and thin lines on your arm and/or legs. It takes a while to feel how much water to use. Combine all ingredients in the blender and mix for a few seconds. Variations on the recipe include the use of coffee or red fruit punch. Experiment. But please don’t feel obligated to use all the blood you make on your face and costume – it is messy. A professional face painter will bring a full kit containing all the colors of cosmetic grade face paint you’ll need for every design. She’ll be fast and full of ideas to make your characters come to life. I hope you have a blast creating an original, safe and fun Halloween costume and make up! 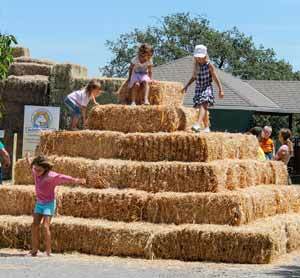 Free family fun this weekend at Redwood Hill Farm in Sebastopol. 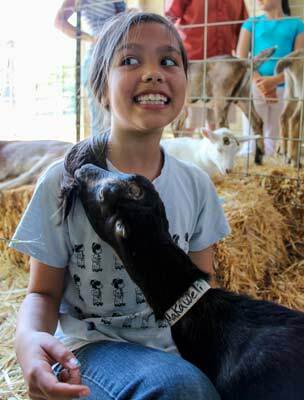 They have baby goats for petting, hay bales for climbing, and face painting by Auntie Stacey May 9 and 10, 2015 from 11AM – 3PM. Did I mention it’s all free? See life on the farm, try milking a goat, sample some yogurt. Wear clothes that you don’t mind getting dirty (the goats like to nibble on them) and bring a picnic lunch. I hope to see you there. Time: 11:00 am — 3:00 pm Redwood Hill Farm is also open to the public on Saturday and Sunday, June 6 & 7, but I won’t be face painting then. I’ll be showing fused glass art at my home studio.